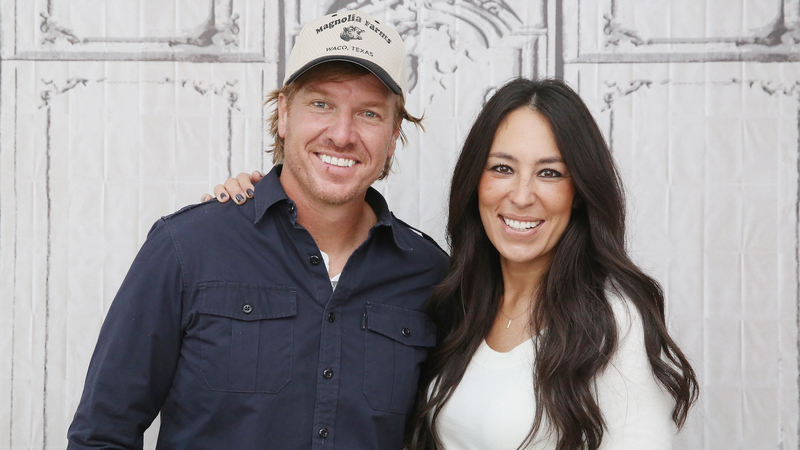 Joanna and Chip Gaines of Fixer Upper welcomed their fifth baby on June 21 — son Crew. Joanna Gaines posted a photo on Instagram of hubby Chip with the infant in his lap along with a caption about one very sweet family tradition that continues. In the photo, Chip is still wearing his hospital bracelet, well after the baby's birth. Turns out Chip began the tradition with the birth of his first son 13 years ago. Joanna wrote in her caption: “Chip started a tradition with Drake where he wore the hospital bracelet until it fell off… looks like the tradition lives on. #5.” D'awwwwww. You guys. I mean. It's been eight full years since the HGTV alums have had a newborn in the house, but Joanna told People the family is taking it all in stride. Check out this amazing photo of the four older kids in the family waiting outside the hospital room door to meet their new baby brother. The posse includes Drake, 13, Duke, 10, Ella, 11, and Emmie Kay, 8. The family's all back home and doing well in Waco, Texas, where Joanna's been happily posting updates about their newest little one. We love this family — and we marvel at how easy they make it all look.